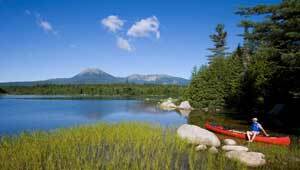 In December 2006, nearly 37 years after Baxter's death, Katahdin Lake finally became part of Baxter State Park. TPL helped the Baxter Park Authority and Maine's Department of Conservation fulfill Baxter's vision by negotiating a complex transaction and raising $14 million to protect the lake and the surrounding landscape. The more than 1000 donors included noted landscape artists, who contributed proceeds from the sale of paintings depicting the breathtaking view of Mount Katahdin from the shores of the lake. The lake will be accessible to anglers, paddlers, hikers, artists, and nature lovers.